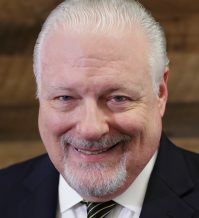 As Vice President, Client Relations and Outreach for ETS Student and Teacher Assessments, John Oswald oversees business development for K-12 student assessment programs and teacher and school leader licensure and ethics programs. His staff are responsible for building and maintaining excellent client relationships, as well as supporting teacher licensure programs, such as Praxis and PPAT. He also is the officer for two major new products, the National Observational Teacher Examination (NOTE) and Winsight, which is a K-12 student assessment system of summative, interim and formative assessments. In previousroles at ETS, he oversaw student assessment program management, formative assessments, assessment literacy programs, assessment technology, and teacher professional development. Oswald is responsible for ETS’s outreach to major educational organizations, such as the Council for Chief State School Officers, and serves on the Boards of Directors of the Association of Test Publishers and the National Network of State Teachers of the Year. Before joining ETS in July 2002, Oswald worked for 30 years at testing and educational publishing companies in various roles and areas, including test development and psychometric research, sales, marketing, customer service, information technology, operations and general management. Oswald earned his bachelor’s and master’s degrees and Ph.D. candidacy from Fordham University, and has taught psychology and testing courses at the college level. Oswald serves as Treasurer on NNSTOY's Board of Directors.